Game Goal : the goal is to escape the room, and reach your freedom. Controls are simple, you just click and move, click and shoot. Press 1/2 and right click to interchange between different abilities and weapons. 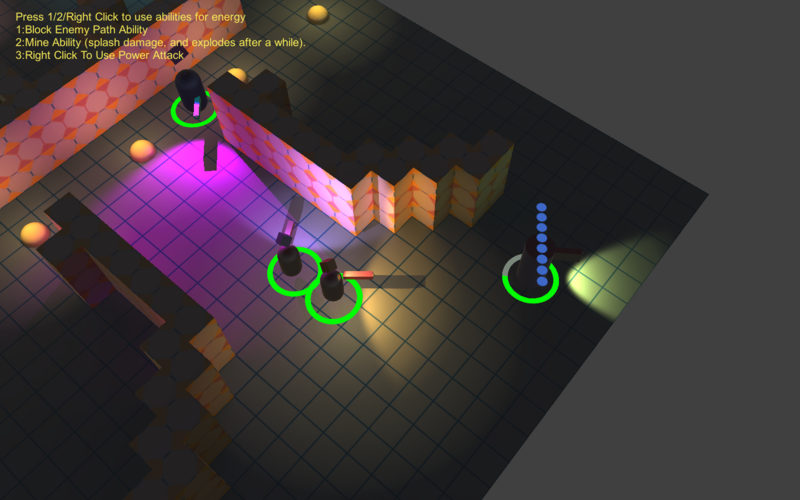 move your character, dodge enemies, or attack them from their blind spots, in order to reach the final and escape the room. fight tactically and carefully for your freedom. i am already at my second iteration of the prototype, you can get all iterations from this same exact link. i was a bit uncertain of whether i'll continue my project or not, but currently, i am certain that i want to keep iterating on this game. any and all feedback is welcome. this is still pretty really early, not even the art direction is set. but i do intend to manage to compete this game. for time being, i'll simply keep iterating, so i need everyone's help, help me with your feedback on each iteration, so i can know how to make the game better. and any suggestions in general are more than welcome, be it about art, sound ,game play, or even code. *Massive Controls Changes a lot more simple to use. *Massive improvements with the AI having 3 new personalities, and a rework of the old one. *Energy system is now easier to spot, and work with.